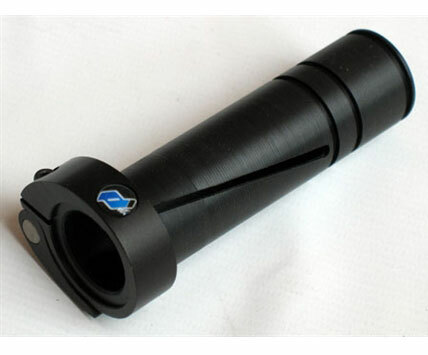 SKU: SKU22440 Category: Barrel Adapters Brands: DeadlyWind. The StinkOps Fusion from Deadlywind is a tool-less adapter for mounting an Apex2(tm) tip onto the end of a Fibur, Whip Tip, or Null barrel. The tool-less quick clamping method of the Fusion compliments the Apex2 tool-less design. This is only the adapter. You will need the tip from an Apex2™ barrel and either a Fibur or Null barrel to mount it to. The Null version includes a removable sizer ring to fit the smaller Null barrel. It is backwards compatible with the Fibur. The Fusion + Apex2 tip will add 3″ total length to the end of your barrel. So if you have a 12″ Fibur, this setup will make it 15″ long tip to tail.